This particular brand of shower gel represents great value for money on the onset. You can easily pay $6-7 for some body wash, and it could still irritate your skin. Having tried the mint, lemon, and now this particular shower gel twice from the Original Source range - I can safely say that this product is great for the skin. 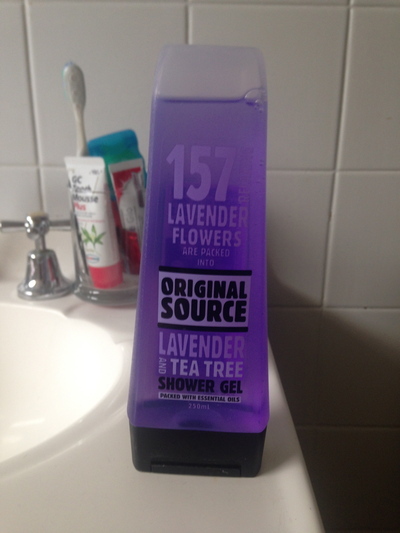 Even though the manufacturers claim on the packaging that 157 lavender flowers are packed into this product, who knows what level of integrity is backed with this claim, yet the pleasant lavender smell is quite strong in this product. I like it that way.